The START International zcM2000C Electric Tape Dispenser with 3 Programmable Lengths automatically dispenses & cuts most flimsy & glass cloth tapes. Originally introduced by START International, the zcM2000C is one of the most reliable and accurate tape dispensers on the market. Quickly and easily program a desired length digitally and the zcM2000C will precisely dispense and cut with accuracy of +/- 1mm. 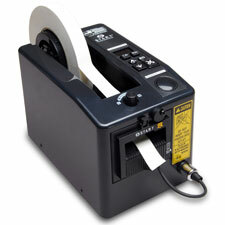 The zcM2000C can store up to 3 lengths into memory for easy, automatic dispensing of multiple lengths. FOR FLIMSY & GLASS CLOTH TAPES.